The construction of the 2 vent shafts, as well as construction traffic routes through the ward are likely to have a substantial impact on air quality in the surrounding area. 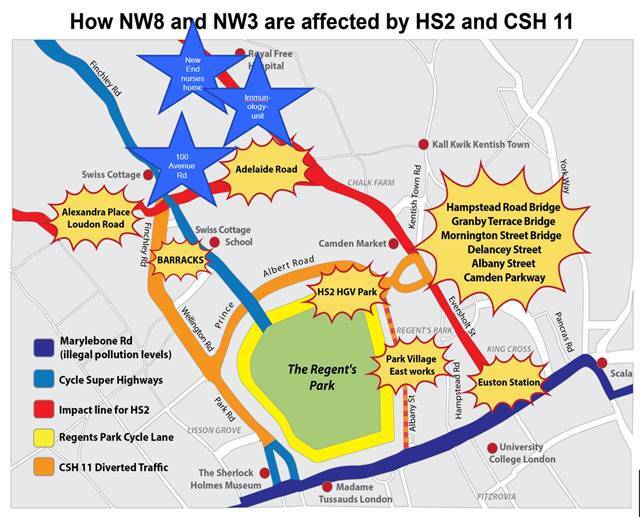 HS2 Ltd has not modelled for CS11. TfL has not modelled for HS2 . There are two major authorities ignoring each other. Additionally, Tfl has not modelled for the Hampstead school run and is using out of date data that was last taken in 2012. Below are maps showing the route of trucks. 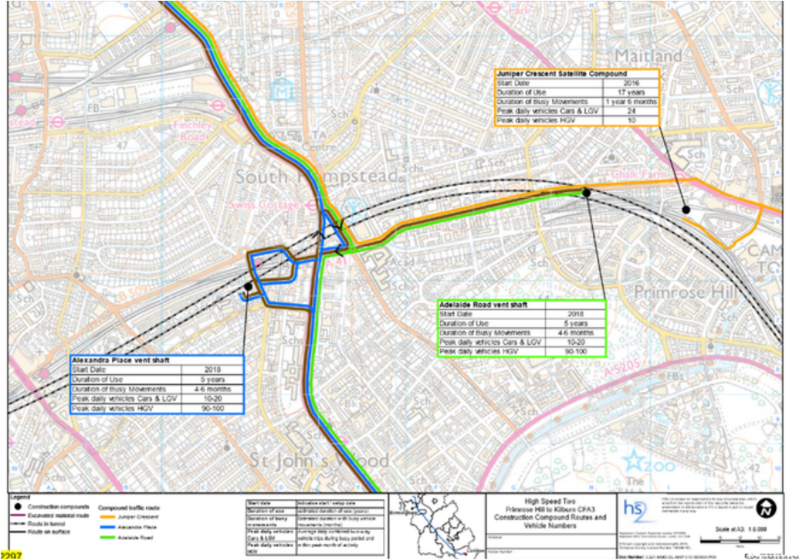 You will see that the HS2 maps fully use the gyratory. Therefore, they are not modelling for CS11. You will see in the second map that the pink area is referenced to be “land potentially to be acquired”. 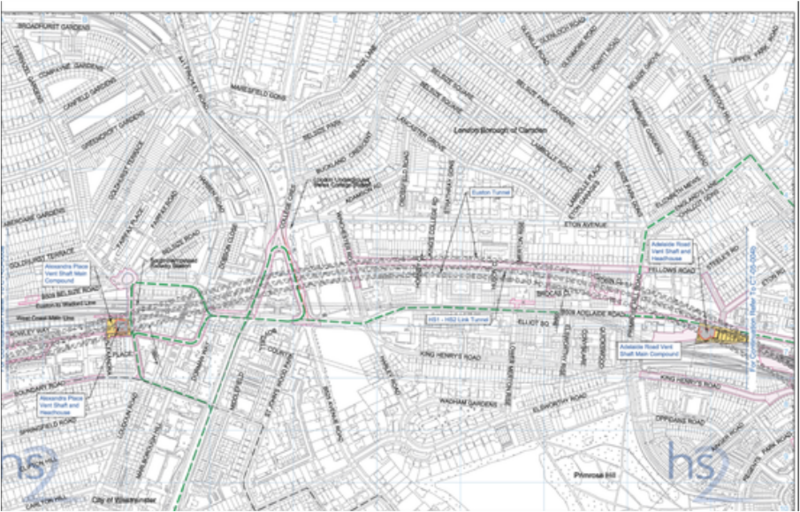 There is pink all around the gyratory. Why put in a scheme now which will be potentially ripped up by HS2 in 2 years time? Is that not a complete waste of taxpayer’s money? TfL is now consulting on the reduction of bus routes, particularly the very popular Nos. 13 and 82. It wants to abolish the No. 82 and substitute the 13 route with a new route going to Victoria. This social vandalism by TfL is wilful and wholly neglectful of its duties as the authority for transport in London.